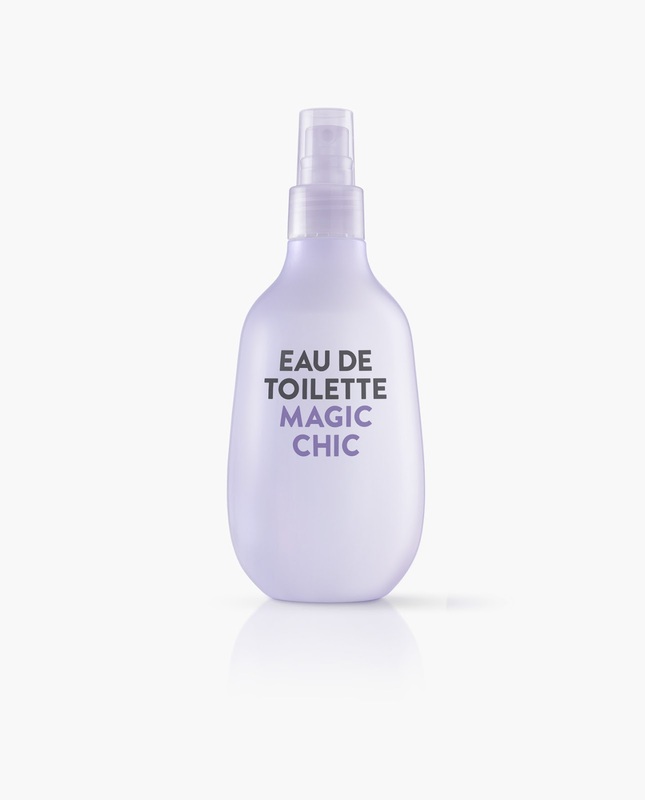 Bottle and graphic design for cosmetics range. Laboratorios RNB. 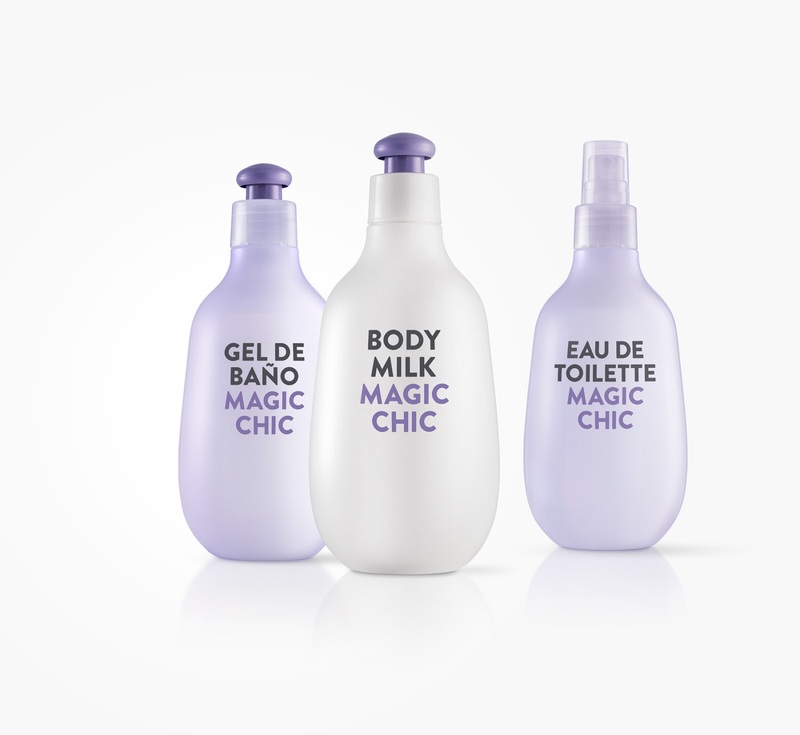 Magic Chic is a family of three different products — bath gel, body milk, and cologne—targeted at young people. 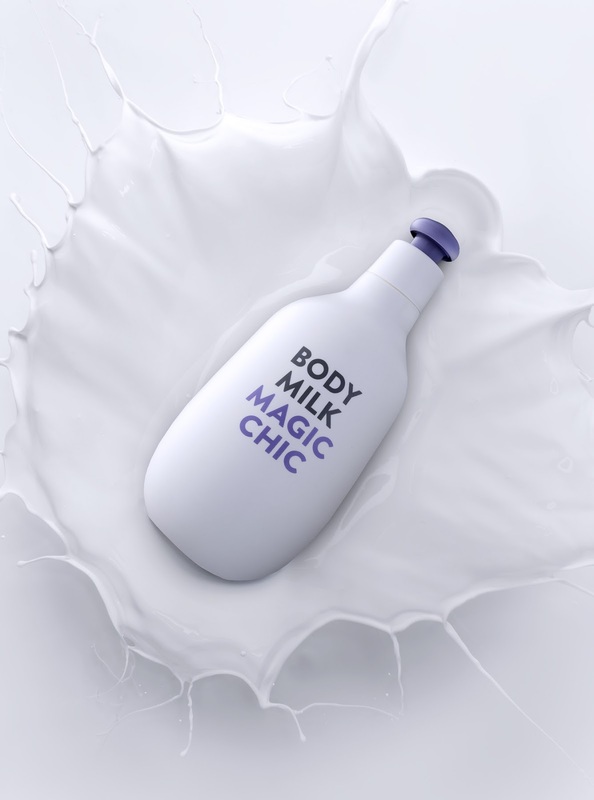 The brief called for something different from what is on the market: something less conventional, more fun; something that was not romantic, which did not talk about the ingredients or the benefits of the product. It had to be something direct, very immediate. 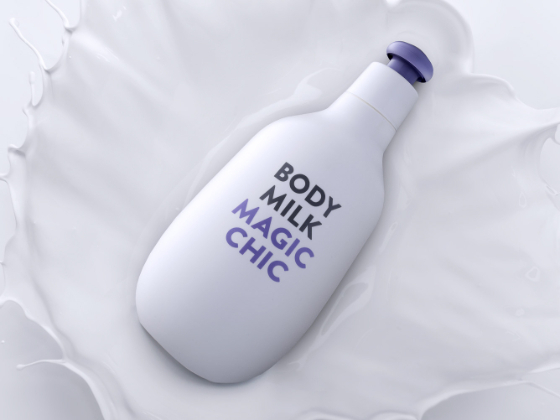 This is what we strove to convey with a simple emphatic 2D design in contrast with the bottle we created, which is soft, friendly, with an unusual shape and a highly functional cap—something uncommon in this type of product.